Entry: The Real Ale Shop based on Branthill Farm was growing the barley for us and our brewers co-op was getting it malted at Crisp Malting at Great Ryburgh Norfolk. My idea was to ask Teddy to store the malted barley back on his farm so we could truely say that we use his barley from his farm. we now had a proven link with the farm to explain to our direct customers in our shops and farmers markets and our main bottle customer The Real Ale Shop had a great story to support his business. Judges Comments: East Anglian brewers formed themselves into a co-operative in 2002 – now numbering more than 40 members. Their business relationship with Branthill Farm began with barley growing, moved on to malt storage, milling and supply, and the partnership has progressed naturally, perhaps to epitomise itself best with the establishment of The Real Ale Shop on the farm, dedicated to selling beers brewed with Branthill barley.This is an initiative that might justifiably be considered for a whole catalogue of business awards, but the judges decided that it stood out for the exceptional support for a distinctive and specialist off-sales enterprise that it represents.Beeston Brewery, which came up with the idea to store and mill malt on the farm, takes the credit as a prime mover behind the relationship with Branthill, and collects the award on behalf of the East Anglian Co-operative’s SIBA members. Entry: The Slaughterhouse brewery has launched the ‘Rare Breed’ Initiative as a way to encourage, support and reward our excellent local publicans. In addition it is a mechanism to ensure that our beers are served in the finest condition to our drinkers. In order to qualify as a ‘Rare Breed’ pub at least one Slaughterhouse beer will always be available. In addition the pubs are regularly inspected by the brewery to ensure that high standards of beer quality and presentation are maintained. Any customer entering a pub which proudly displays its distinctive ‘Rare Breed’ plaque will be ensured of finding a Slaughterhouse beer served in top condition. Judges Comments: From their tiny four-barrel plant in Warwick, the five-year-old Slaughterhouse Brewery has demonstrated just how much can be achieved – regardless of size or age – to forge solid and lasting links with local pubs.The ‘Rare Breed’ Initiative goes much further than just a straightforward supply agreement. It has established a genuinely local point of difference for participating outlets, and represents an investment of support and quality focus that sets an excellent example for the rest of the industry.The judges were unanimous that such imaginative thinking, put into practice with tangible commercial success for brewery and pubs, richly deserves this year’s award. Entry: A Ridiculous Idea Delivering Sublime PR Results! “I’ve had an idea and you’ll like it! We’ll get as many people as we can to dress up as Robin Hood and congregate at Nottingham Castle at the same time. I think we can beat the World Record of the most Robin Hood’s!” Dave Green, Nottingham Castle Manager January 2008. Needing a bit of support to get this idea moving forwards Dave Green’s first step was to contact Colin Wilde, Commercial Director from Castle Rock Brewery to enquire whether the brewery would be interested in getting behind the event as one of the main backers. A short meeting followed and the subsequent partnership quickly set about professionally maximising PR gain in earnest to the benefit of all stake-holding groups. Not only did the record attempt take place but due to the co-ordinated and hard hitting PR campaign, it delivered, not just the targeted results, but a whole lot more including significant community gain. Judges Comments: If there was an award for putting a smile on the judges’ faces, this entry would win hands down! Seeing the way a brilliantly silly idea so quickly captured the imagination of people reading about it long after the event, it was easy to understand the successful PR coup that it became at the time.Castle Rock deserves great credit, not just for participating in the idea, but for significant levels of professional input that helped to maximise the PR campaign and saw the world record attempt realised.TV coverage on Al Murray’s ‘Pub Landlord’ show was the icing on the cake, and presented Colin Wilde with the added bonus of a cuddle from John Barrowman! Sponsored by HCT Creative Ltd. Entry: Mission Enjoyable is a mystery shopper scheme set up by Everards in 2007, re-launched in 2008 with a new improved system and its own stand-alone website. The bespoke system allows agents to manage their missions from their own account and allows Everards staff to maintain the system and missions from an admin centre. Our pubs benefit from the initiative by allowing them to see their pub through the eyes of the customer and the consumers benefit from being reward for visiting their local pub. So far we have over 1200 agents sign up to the system and over a third of which have successfully completed a mission. Now the system is in place it can be used for both internal purposes and for external suppliers to monitor a variety of initiatives. Judges Comments: The same category and the same winner as last year, but such a completely different entry with totally new targets – there are definitely people in Leicester who know how to utilise the Internet, with creativity and flair, to great commercial advantage.The element of fun in Everards’ ‘Mission Enjoyable’ scheme has proved the spur to a successful electronic campaign that also delivers vital information to the brewery, which both Everards and the inspected pubs can use in so many ways to the benefit of their businesses.Furthermore, the judges could see that this is an initiative ‘with legs’ that could provide ongoing quality assessment for years. Entry: Project William is a new initiative which regenerates closed or unstable pubs by collaborating with small brewers. Everards Brewery began investigating the scheme in Spring 2007 and now have five pubs run by three brewers with a further four planned with four separate brewers. Of the five, three were closed pubs which were purchased, redeveloped and reopened with sales success. Everards continues to develop Project William and are in talks with a number of small brewers. The initiative has been met with positive feedback from the brewers involved and the trade generally. Judges Comments: Another award for Everards – a company at the higher end of the SIBA size spectrum. But this is a business development that is about support for smaller breweries, and it is that element of synergy and symbiotic relationship that so impressed the judges. ‘Project William’ tears up the old stereotypes that have entrenched a ‘them-and-us’ attitude between large regionals and micros. Everards have demonstrated that there is at least one way for supposed rivals in the marketplace to grow their businesses in harmony. It is little wonder that the historic Leicester-based brewer has reported such positive feedback to this far-sighted innovation.It represents a real opportunity for a small brewer to ‘fast-track’ the process of establishing a presence and building a name in its local area – something that might otherwise be not just much slower, but actually unachievable..The judges felt that they could not overstress the importance to the independent brewing industry of this initiative. 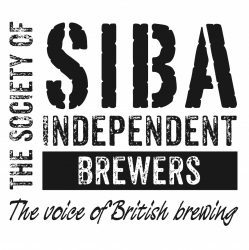 For SIBA, it represents one of the very best examples of its members of different sizes working together, with so much potential and hope for the future. Sponsored by Small Beer Ltd. Entry: We produced a TV commercial lasting for 30 seconds which was shown on Granada and Yorkshire TV during October 2007, the commercial was also shown 500 times on Sky Film 24. Whilst I had the TV crew filming we also produced a corporate DVD which lasts for 20 minutes and shows all aspects of the brewing process, the history of the brewery, its pubs and people. this DVD is now sent to each new account and is used three nights per week during our brewery tours. The TV commercial and DVD are shown and can be down loaded from our web site and is used by our USA customers to train bar and store staff on the finer art of craft brewing. I believe Moorhouses to be the smallest brewery to advertise for some years, not only does the add show off our brands but is a great advertisement for the British cask ale pub. Following the TV commercial our October trade increased by 17% of which 5% of the growth is down to the additional advertising and the increased awareness of the brands and company. Judges Comments: The judges believed that for Moorhouse’s to enter the world of TV advertising was a serious step beyond the standard of promotional initiative expected from a brewery of this size. They agreed with the Burnley company’s contention that its importance goes beyond their own narrow commercial advantage, to herald the virtues of the entire cask ale sector and the vital role it has to play in the revival of the fortunes of the British pub.To have included a corporate DVD in the project gives it longevity beyond the advertising campaign. Significant sales results support the judges’ agreement that this initiative is a worthy winner of the award. Entry: The main objective was to create a new contemporary look for our lagers. We strongly believe that just because a lager is organic, micro-brewed or both, it does not mean to packaging should be old-fashioned, with lifeless colours, and a very ‘country’ feel to them. We wanted our newly designed packaging to appeal to brand innovators, who are looking to experiment and diversify away from the norm. We also decided that we wanted to create a family of products, so the designs compliment each other, and are differentiated by colours and taste cues. Judges Comments: In an increasingly competitive market, the visual impact of product packaging is of crucial importance. For the judges, the entry from Freedom Brewery ticked all the boxes of imaginative design, contemporary style and creative innovation.The appeal is obvious, and that is what stimulates the temptation to buy and try these products. They co-ordinate well into a colourful ‘family’, and the label information is very well presented.They will certainly stand out on the retail shelf, delivering a message of flavour and style before they are even picked up. The judges were confident that they are unlikely to stay there long! Entry: In line with our rebrand of products, Freedom Brewery have created new PoS materials, including pint and half pint glasses, sample packs, font badges, polo-shirts, beer mats, an advert and table talkers. We wanted all elements to look consistent throughout the brand, contemporary and fresh. We wanted to portray our brand values to the customer, in a fun, yet informative manner. For example, the 4 beer mat designs cover each of the 3 products attributes, plus our water benefits associated with the brewery. At the same time, they also create a small jigsaw with the brands 6-point star on the reverse. In addition to customer related PoS, Freedom Brewery has also created new exhibition materials, including banners and price boards. Judges Comments: In a category that relates closely to the packaging award, the judges felt they had no choice but to decide yet again in favour of Freedom Brewery, who have complemented their product packaging with a range of exceptionally attractive point-of-sale material that adds serious value to the brands.Once again contemporary style is much in evidence, coupled with product information presented in a ‘non-heavy’ manner.The judges were also pleased to note that a SIBA member that specialises in lagers rather than cask ales can make a distinctive contribution to these Brewing Business Awards in the same way that its products enliven the world of British independent brewing.